Every once in a while my phone or computer gets stuck or freezes. The other day I complained to my wife that my phone was not syncing with my computer. She simply suggested, “Try resetting your phone!” Problem solved! My technology is now humming again, and I am happy. Today we met with a friend who has helped us with blogging and social media. The topic of personal organization as leaders came up. It is a challenge for me to maintain priorities and stay on track. Life gets cluttered and sometimes I need to stop and hit the RESET button. January is a good time to reset by reviewing priorities, goals, life mission, etc. Here are some topics that have helped me be more effective in my personal and professional life. 7 Tips on Developing a Life Mission A smorgasbord of ideas on how to develop a life mission. 5 Helpful Ideas for Running to Win Will help you to lead on purpose. 9 Lifestyle Energy Drainers Inventory on what could steal your energy this year. What needs your energy this next month? Helpful ideas to organize your priorities, and includes a free download of the Priority Grid Planner. Workflow for “Stuff” Helpful for staying on top of email this year as well as anything else that comes across your plate. Multiplying My Time Simple and practical thoughts on time management. Two Keys for a Successful Year Make things happen and put your ideas into practice. Developing Your Relationship with God Some thoughts on developing the spiritual area of life. 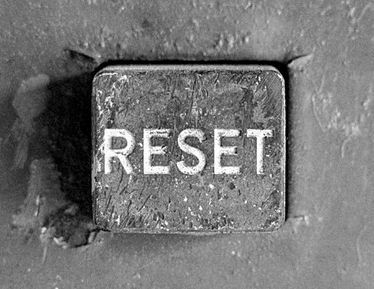 What has been helpful for you to RESET your life? This entry was posted in Live Well and tagged effectiveness, email, energy drainers, 重置, life mission, lifestyle, сброс, personal organization, productivity, reinicializar, remettre, time management, إعادة تعيين. Bookmark the permalink. This is a great concept and a more relatable way to rethink the New Year’s resolution. Whether it’s Jan 1 or anytime else during the year, I think we can all benefit from learning to hit our Reset button when we just aren’t quite syncing with our goals, job and relationships. Thanks for your comment Stephanie. How did you find the blog? I see from your blog you do some writing. A friend has a blog on writing that is really encouraging. Check out http://goinswriter.com/. If you sign up you get a free book called The Writer’s Manifesto. I don’t get anything from it but it was very encouraging to me as a writer. Have a great day. Come back again!